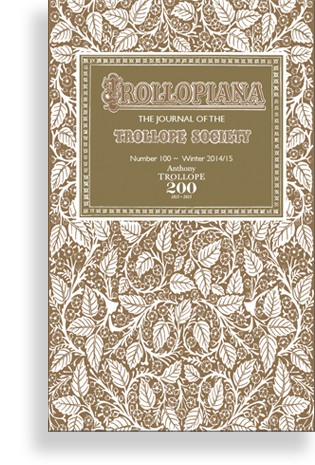 Michael Helm, Treasurer of the Trollope Society, gives an account of the history of the Society from its foundation by John Letts in 1988 to the present day. Not Only Ayala Dreams of an Angel of Light! If you have ever thought of becoming a theatre angel, now is your opportunity to support a production of Craig Baxter’s play Lady Anna at Sea. 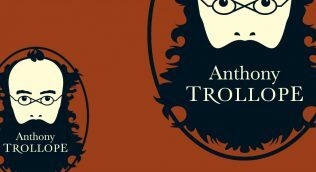 Dr Nigel Starck presents the first in a three-part review of contemporary critical response to Trollope’s novels. He begins with Part One, the early years of 1847-1858. Pamela Marshall Barrell gives a résumé of the critics reception of the restored complete edition of The Duke’s Children. Peter Blacklock reviews Nigel Starck’s new book, The First Celebrity: An Australasian Odyssey. Professor Steven Armarnick gives the 27th Annual Trollope Society Lecture on the re-discovery of the complete The Duke’s Children. Reflections on the late Dowager Duchess of Devonshire’s connection with the Trollope Society. A review of our Seminar Groups activity up and down the country. A collection of all sorts of things of interest to Trollopians in 2015. 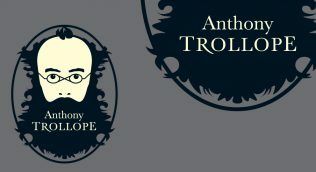 We continue to honour the name of Anthony Trollope as we enter his bi-centennial year.